This black based rectangular Kairy work clutch bag is an elegant and traditional one to have for all lavish occasions. 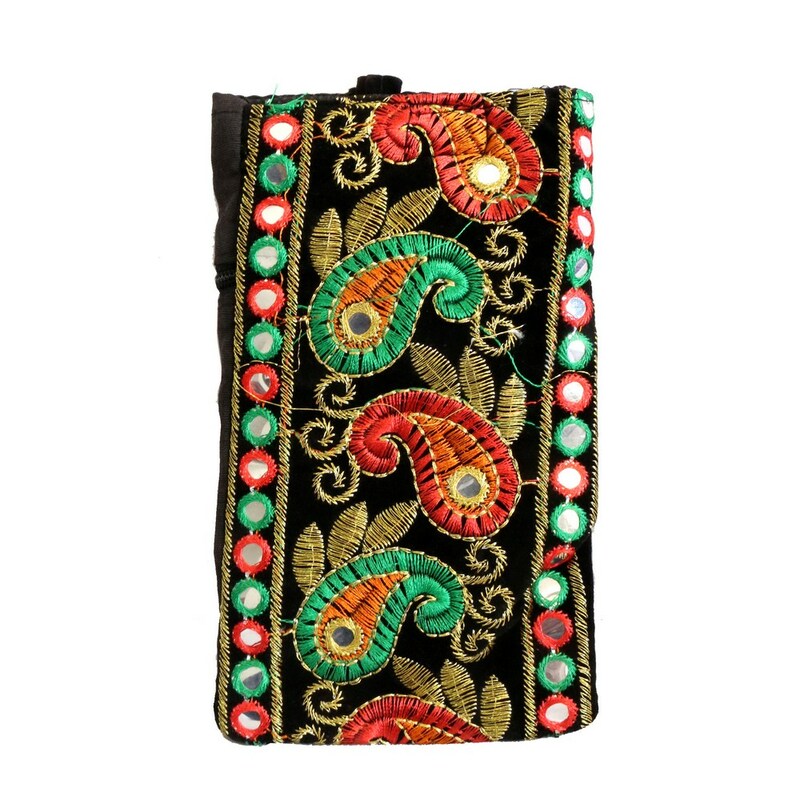 The entire pouch is detailed Read More..with heavy traditional embroidery designs in orange and turquoise color. The borders are well designed with circular mirror work for a wholesome effect. Show Less..